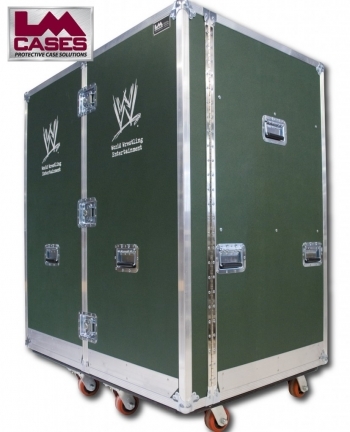 This case was built for World Wrestling Entertainment. The case was designed to hold misc. items used in pre-taping the WWE's events. The case is built out of 1/2" plywood and is laminated with Forest Green ABS plastic. 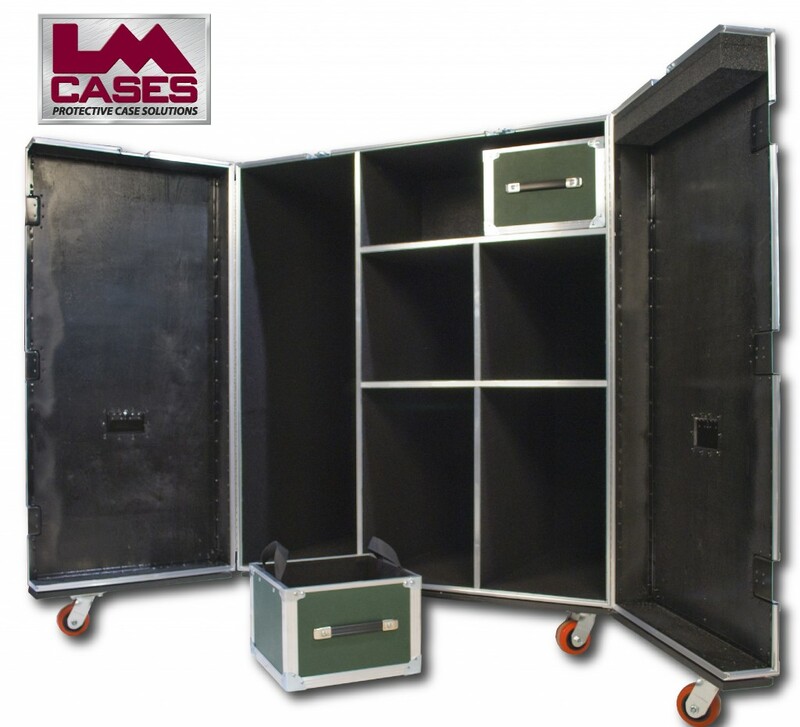 It is also outfitted with a 1/4" aluminum forklift guard and 4" x 2" HD casters. The case features dual hinged front lids, custom removable trays (also built from 1/2" plywood w/Forrest Green laminate), and silkscreens of the WWE logo.